Can you travel to Boston and the surrounding areas? At justteachers we have a large amount of opportunities available in the Boston area. We are working exclusively with Primary schools who are looking for a range of teachers for EYFS, KS1 and KS2 roles. We have a mixture of roles available including: long term, permanent roles and daily supply to cover absences. We can also offer guaranteed pay contracts where we guarantee you a weekly wage with a week full of work. 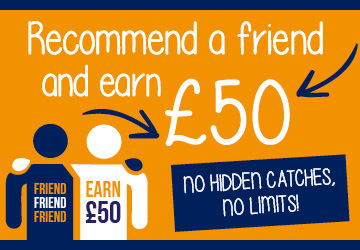 If you are not looking for a new challenge but know someone who is, we have a recommend a friend scheme where we pay £50 for each referral for both Teaching and support staff. Simply email RAF@justteachers.co.uk with the name and contact details of the teacher you wish to recommend together with your name and address and we will send you £50.